For over 25 years, Compressor Systems (West) Ltd. has been providing its customers with efficient, reliable and cost effective air compressor solutions. We provide a professional end-to-end service from the initial consultation and planning to installation and commissioning. But that’s not what makes us tick. We believe that you deserve quality, performance and reliability. Nothing less. It’s why we have a long-standing relationship with leading UK supplier HPC to distribute the most advanced air compressor equipment that money can buy. 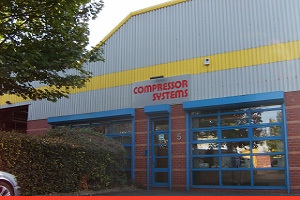 Established in 1984, Compressor Systems now operates from two modern depots in Bristol and Gloucester. Consequently, we are able to provide complete regional coverage. Our experienced service team of engineers are highly trained and fully-qualified to British Compressed Air Society (BCAS) standards. The company is now run by two former sales engineers. 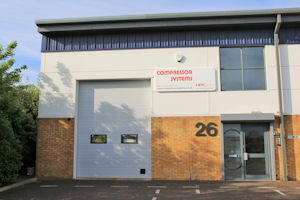 Luke Early and Lee Reynolds have over 35 years of combined experience in the compressed air industry. They understand what your business NEEDS. Both started as apprentices at Compressor Systems and the company still retains a commitment to taking on new apprentices to help provide an installation and maintenance service that’s second to none.